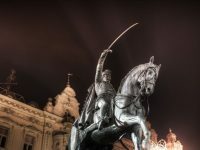 Zagreb City Break in Croatia [2019 / 2020] Book Today! Visit Croatia’s vibrant capital of Zagreb during this 5-day city break. Medieval churches, charming old town, great nightlife and chic restaurants wait for you! Croatia’s capital of Zagreb is getting an increasing amount of visitors every year. 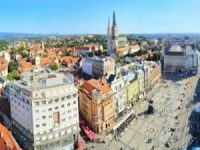 Whether you want to explore its medieval streets and churches, or you just want to try the different restaurants and taste the local dishes, Zagreb has it all. Hit the bars and restaurants in the popular Tkalča street, just next to the Ban Jelačić square or visit the magnificent cathedral and the Zagreb Market – Dolac. 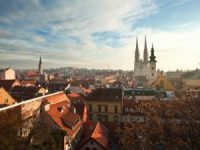 This extended city break will also take you further: you’ll explore the beautiful Zagreb surroundings and head to day trips of your choice. This is a tour you can do with your friends, family, colleagues, or with your partner – it suits everyone! Welcome to Zagreb! We’ll pick you up from Zagreb Airport and transfer you to your hotel in Zagreb centre. Today, we’ll arrange a walking guided tour of Zagreb for you. Overnight at hotel in Zagreb. The Plitvice Lakes National Park is situated in Croatia’s mountainous region of Gorski Kotar, only a 2-hour drive away from Zagreb. The lakes are UNESCO-protected and have been since 1979. 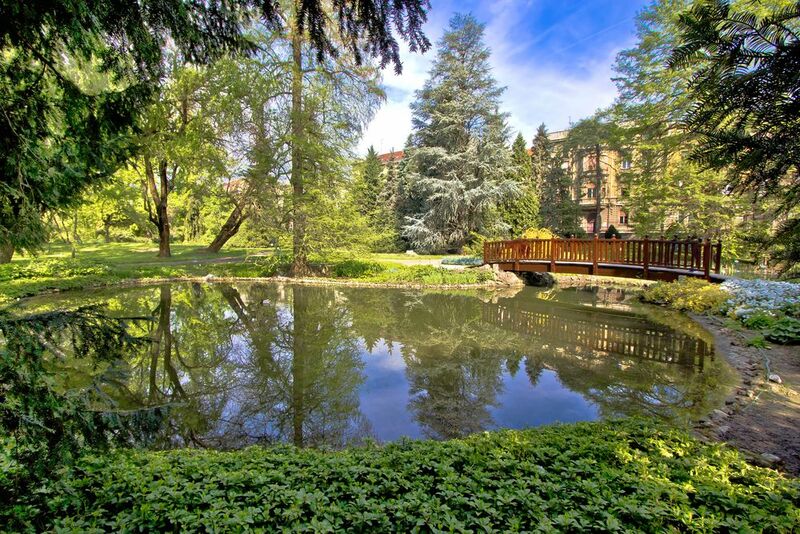 The park consists of sixteen interlinked blue and green lakes with over 90 waterfalls and many wooden paths. Upon arrival, you’ll be taken on a guided walking tour of the lakes (make sure you wear comfortable clothes and shoes!). Explore the lakes on your own after the tour. After breakfast, we suggest a full day excursion to two beautiful castles – Trakošćan and Oršić castle. We’ll pick you up from your hotel and drive towards the northern region of Hrvatsko zagorje. Hrvatsko zagorje is known for its well-preserved castles and spas. We’ll visit the Oršić Castle in the town of Gornja Stubica and the Museum of Peasant Uprising. 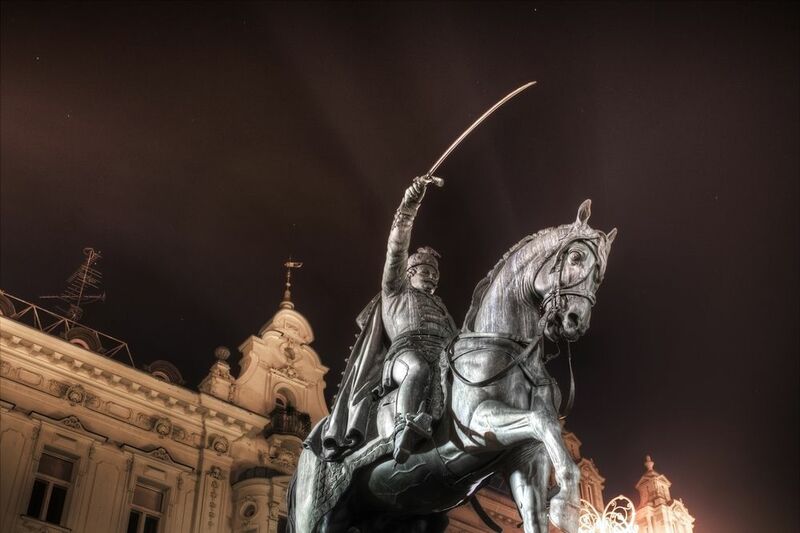 The uprising happened in the 16th century and was one of the most important events in the social history of Croatia. After that, we’ll visit the Ethno village of Kumrovec, with houses containing authentic furniture from the end of the 19th century, where you’ll learn about the old crafts and visit the birthplace of the Former Yugoslav President Tito. Lunch in one of the homesteads, where you’ll have a chance to taste the best local dishes. After lunch, we’ll head to Trakošćan, the best-preserved Croatian castle from the 13th century, surrounded by a beautiful park and lake. Free time to explore the castle and its surroundings.